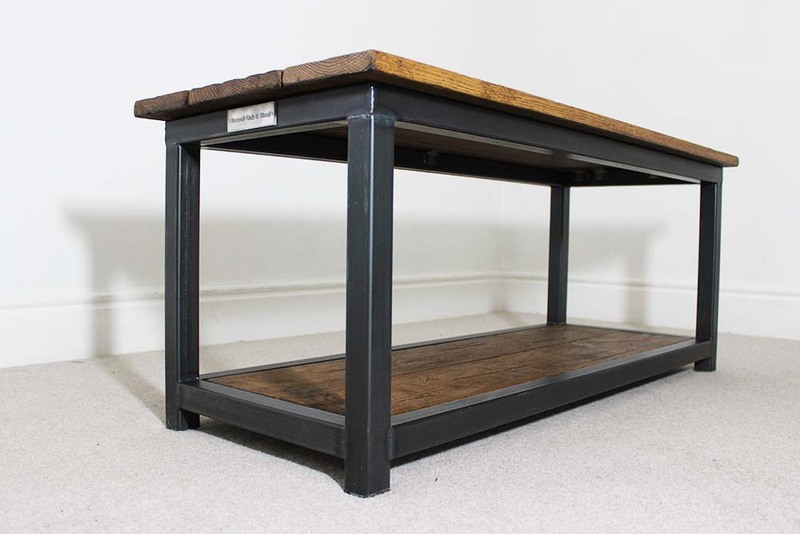 If you looking for a reclaimed oak coffee table then this may be of interest to you. Our bespoke furniture style enables us to mix different materials, colours and create unique pieces which will last a lifetime. This Wadsworth coffee table is available to purchase on our website. The client chose to go with Oak planks, hand distressed to give the reclaimed oak coffee table feel. 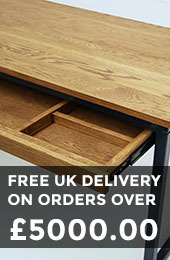 We use new solid oak and bash it up, until we feel we have created the most sought after reclaimed feel. If you wish to purchase this style please make a note of the specification used. You can see more pictures on our Portfolio Page. Purchase the Wadsworth Coffee Table.